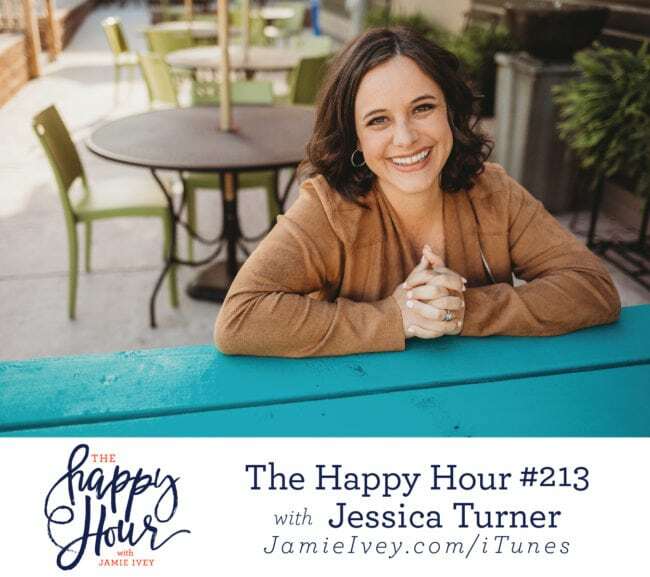 My guest for The Happy Hour #213 is Jessica Turner. Jessica is the author of the newly released Stretched Too Thin: How Working Moms Can Lose the Guilt, Work Smarter, and Thrive and The Wall Street Journal bestselling book The Fringe Hours. She is also an award-winning marketing professional and speaker, and the founder of the lifestyle blog The Mom Creative. She and her husband, Matthew, live with their three children in Nashville, Tennessee. I am so happy to welcome my friend Jessica back to the show! Jessica and I start out talking about books, which if you love books you need to follow her Instagram profile where she shares about what she's reading! We then dive in and talk about the concept of mental load. Friends, I know we all suffer from the stress of mental load - coordinating, managing, analyzing, and juggling in our minds ALL THE THINGS, am I right? Jessica shares practical tips for managing mental load and reminds us that self-care is not selfish, it's necessary. We also discuss how we need to stop separating ourselves based on where/what/when we work. I love how Jessica says whether you're a stay at home mom or a working mom, "we are all moms who love our kids"! In the second half of the show, Jessica shares the story of when her husband Matthew (a published author) wrote his first children's book, he was turned down a dozen times. Instead of letting that stop them, Jessica and Matthew self-published the book, it sold out, and now it's sold 100,000 copies! You guys, I loved talking with Jessica today and I know that through our conversation I was reminded of the grace God gives us every single day, and how we can extend grace and care to each other and to ourselves.